Take a look at our latest chalk talk about batching! Interested in a J.A. King batching system? Get a quote at: www.jaking.com/batching. Keeping your cool is an important thing, especially when you are responsible for housing refrigerated goods in a 50,000 square foot warehouse! 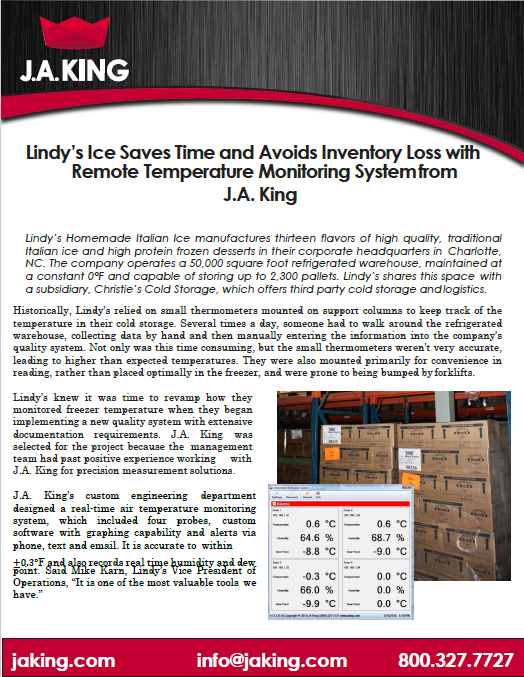 That’s just what Lindy’s Homemade Italian Ice does with the help of a customized remote temperature monitoring system from J.A. King. Read the full case study here. Mitutoyo Caliper Promo: Save up to 22%! 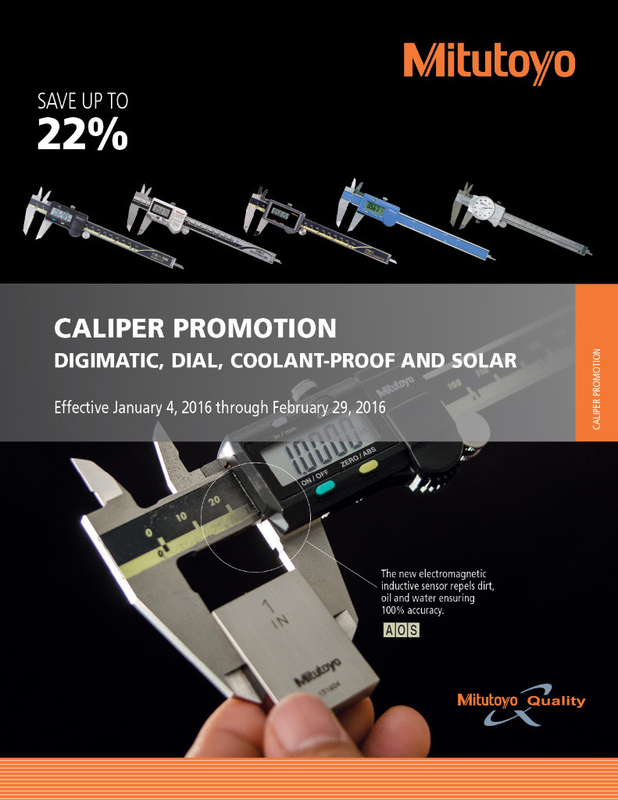 Mitutoyo’s latest caliper promotion is here and you have access to savings with J.A. King! Save up to 22% off Mitutoyo calipers until February 29th. Click on the image to the right to take a look at the brochure and request a quote using the button below. When performing dimensional inspection, there are several well developed measurement methods which are very accurate and highly recommended. Which method is best for your application? 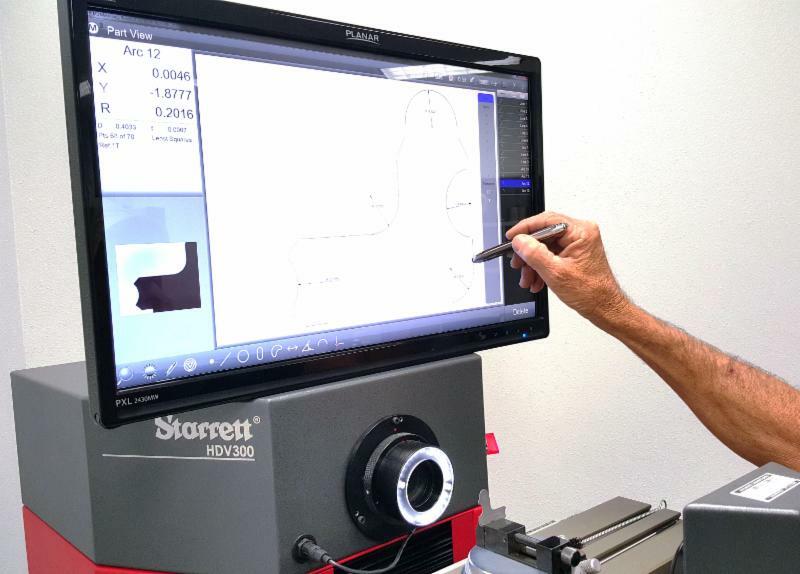 Take a look at some of the key differences between methods such as CMMs, portable arm CMMs, optical comparators, and video measurement systems. Let our experts explain which method may be best for you!